Do you have dirty windows? Relax, we all do. Window cleaning is a continual and large job, and it can be tedious and frustrating, time consuming and of course, dangerous. 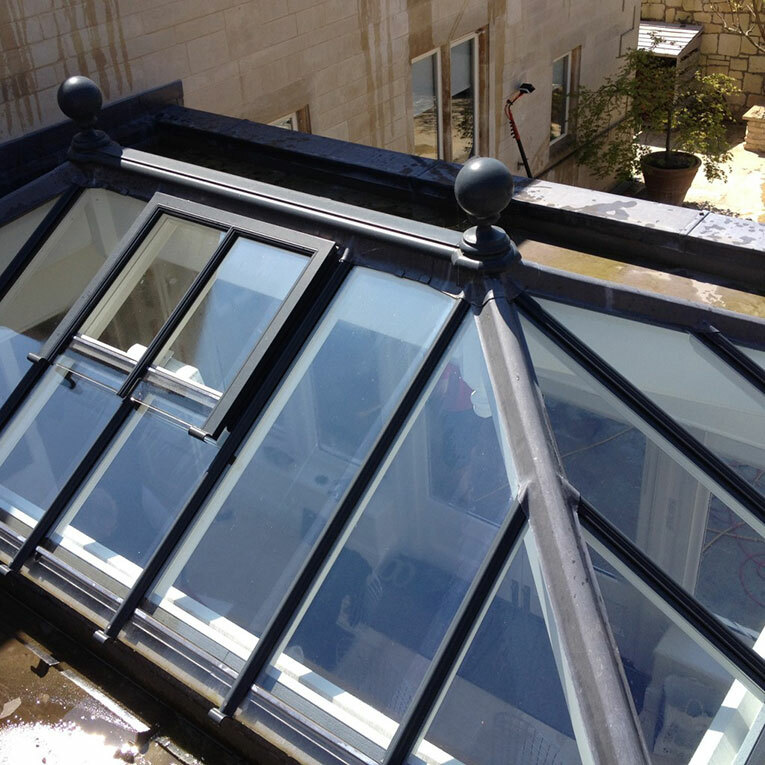 That is why it makes good sense to use professional Window Cleaners like Clean and Bright Windows of Bath. Clean and Bright Windows is a window cleaning company that is celebrating this year 25 years of window cleaning. 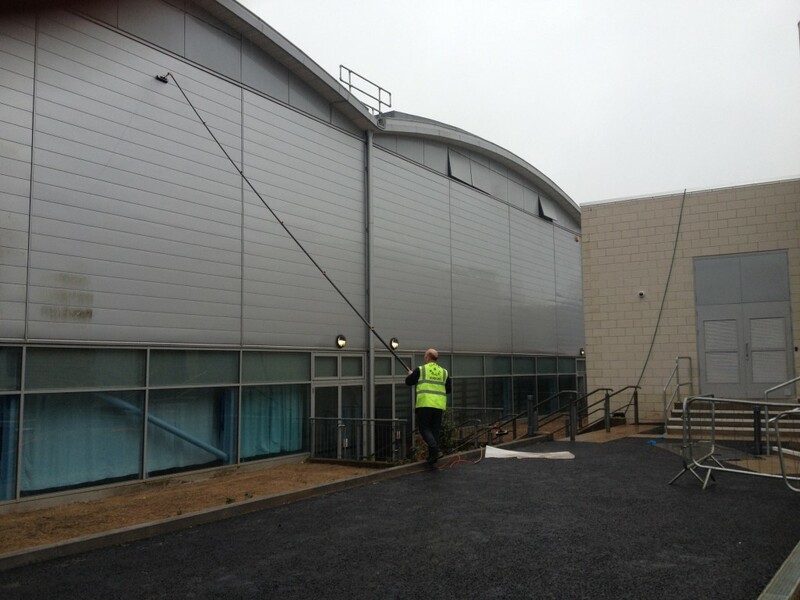 Window cleaning in Bath is a honor and a privilege but its not all about cleaning windows. We know you will like the results. At least that’s what we hear from our many satisfied commercial and residential window cleaning customers in Bath. Check out our reviews – here. When you hire a residential window cleaners, you probably want more than just clean windows. You want timely, reliable service from a professional company who cares about your satisfaction. With Clean and Bright Windows, that’s precisely what you’ll get. Clean windows can make a huge difference in the ambiance of your home or proprty, it can also be an essential element in your businesses image. Getting in touch with Clean and Bright Windows is easy to do. Did you know that a good window clean can save you money? If your windows are left unwashed for too long, small particles of dirt and grime can penetrate the glass, which can potentially be expensive to fix. Clean and Bright Windows residential window cleaning service will not only brighten-up your home, it will improve your view of outdoor and in the long-term save you money. 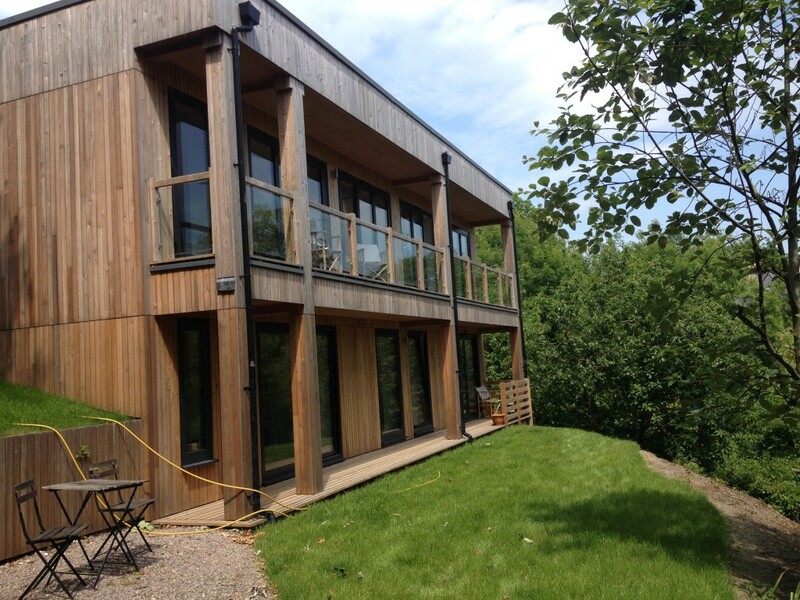 Our residential window cleaning service covers all types of property, large and small. Using the latest telescopic pole equipment, we can access the top floor of a Bath home or property or bring a sparkle to your hard-to reach loft extension or Conservatory. 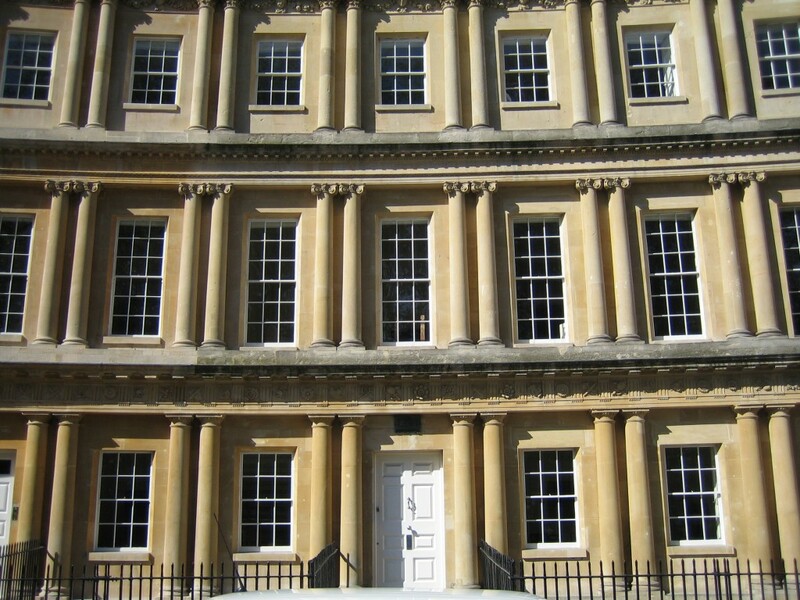 No job is too large or too small for Clan and Bright Windows, from sash windows to patio doors, we cater for every kind of residential window cleaning all over the city of Bath and the surrounding area. We can also give your conservatory a new lease of life or bring back the colour to your cladding and fascias. Clean Business premises are paramount to impress visitors and keep health and safety officers pleased. Clean and Bright windows delivers an effective and trustworthy bath window cleaners service in a professional manner, adapting to your specific needs and requirements with a guarantee of high integrity at all times. Our careful attention to detail ensures that the first impression you give is the right one. We also go out of our way to work discretely and show consideration to your customers. Dirty windows can be damaging to a company image; regular, professional window cleaning will eliminate this problem. The appearance and cleanliness of your premises’ windows are critically important to you, your staff and your clients alike. From retail units to office blocks through to business parks and hospitals, each of our clients receives the same attention to detail. Dirty windows can be detrimental to ANY company image; regular, professional window cleaning from us will eliminate this problem. Clean and Bright windows are constantly reviewing procedures to ensure we using the most up do date technology and equipment available. Window Cleaning can be potentially dangerous but you can be assured that we are fully compliant with all current health and safety legislation. We design a practical and cost effective window cleaning service to meet your individual business requirements, we then deliver quality service, efficiently and above all safely with our bath window cleaners. For office window cleaning as well as: Cafes, pubs, restaurants, shops, galleries and salons, schools, churches, our modern equipment (Reach and Wash) provides a superior clean without the use of ladders. We Clean windows, using the reach and wash pole system which is maintained to the highest standard so that we can clean your windows to the best. It works on a system of telescopic poles fed by purified water, with no added chemicals or detergents. It is safer than traditional methods, much more efficient and wont get in the way of your business or your customers. Our bath window cleaners are trained, and vetted, well presented in uniform and very trustworthy. commercial window cleaning questions that you may have. Feel free to email or call me with any questions about anything, between 7.30am – 7pm – Monday – Friday. 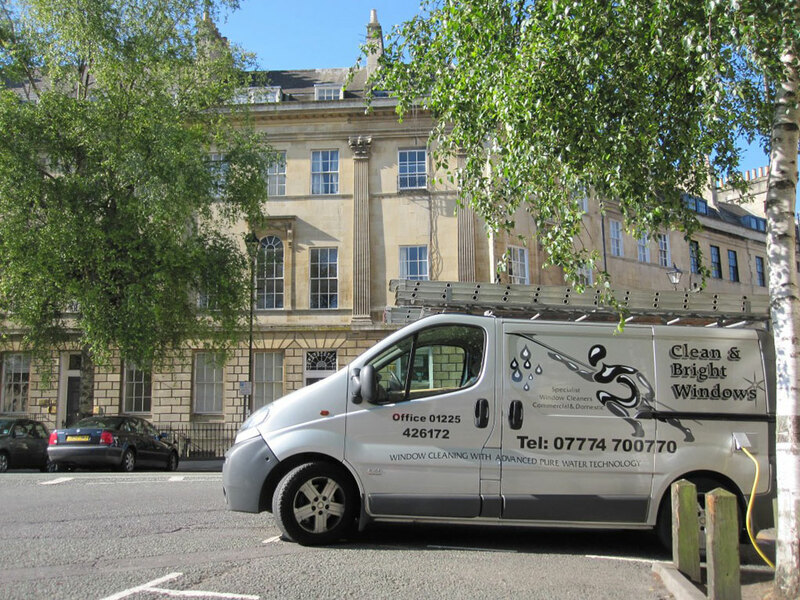 Clean & Bright windows provide the highest possible quality of bath window cleaners in and around the city, using the Reach and Vac internal and Reach and Wash external water-fed pole systems. The Reach and Wash system is appropriate for cleaning all classes and ages of windows. In addition to maintaining a high standard of cleanliness on the glass-work, metallic or UPVC framework will also benefit from the cleaning process. The 100% pure water produced by the filtration system provides cleaning power but without the introduction of possibly destructive or harmful chemicals to the environment. The Reach and Vac internal system is self-contained and therefore does not pose a threat to the regular operations of businesses, sensitive equipment, decoration or internal features. Both systems are also robust to risk and support working within hazard in operation legislation. The use of the systems supports customer policies, only involving occasional use of ladders or other off-floor equipments for access and not for working. The object of a Safety Policy is to provide the framework around which a safe and healthy working environment can be maintained. 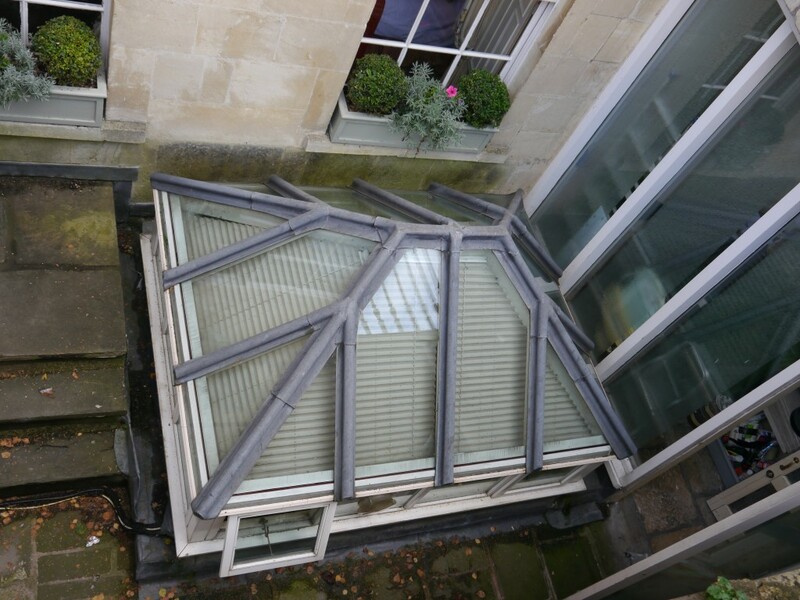 It is the policy of Clean & Bright to place great importance on the health and safety of its bath window cleaners. We consider the health and safety of employees to be a management function equal to that of any other responsibility. We recognise and accept responsibility as an employer for providing a safe and healthy working environment on the premises under our direct control. It is our policy to liaise and co-operate with our Bath clients to provide Clean & Bright employees a safe and healthy working environment whilst on their premises. Clean & Bright recognises and accepts its obligations to ensure that other parties are not adversely affected by our activities. • The safe provision and maintenance of window cleaning equipment, machinery and system of work. • Safe arrangements for the use handling and storage and transportation of window cleaning equipment and materials. • Provision of sufficient information, instruction, training and supervision to enable our employees to avoid hazards and contribute positively to their own and others health and safety at work. • Revise and review our health and safety policy to incorporate any new legislation. • A safety policy is unlikely to be successful unless it actively involves the people who work within the company. We will therefore seek to ensure effective consultation and communication to all employees. • Report all accidents, damaged or faulty window cleaning equipment and potential hazards to their line supervisor and site contact. • Follow all agreed working practices and procedures, including the correct use of safety equipment and protective clothing. It is the duty of each employee who is required to operate equipment or use substances with which they are unfamiliar to make this fact known to their supervisor so that the appropriate training can be given. It is essential that the principles set out in this health and safety policy be faithfully applied by all Clean & Bright staff so that accidents and any resultant suffering or loss can be avoided. 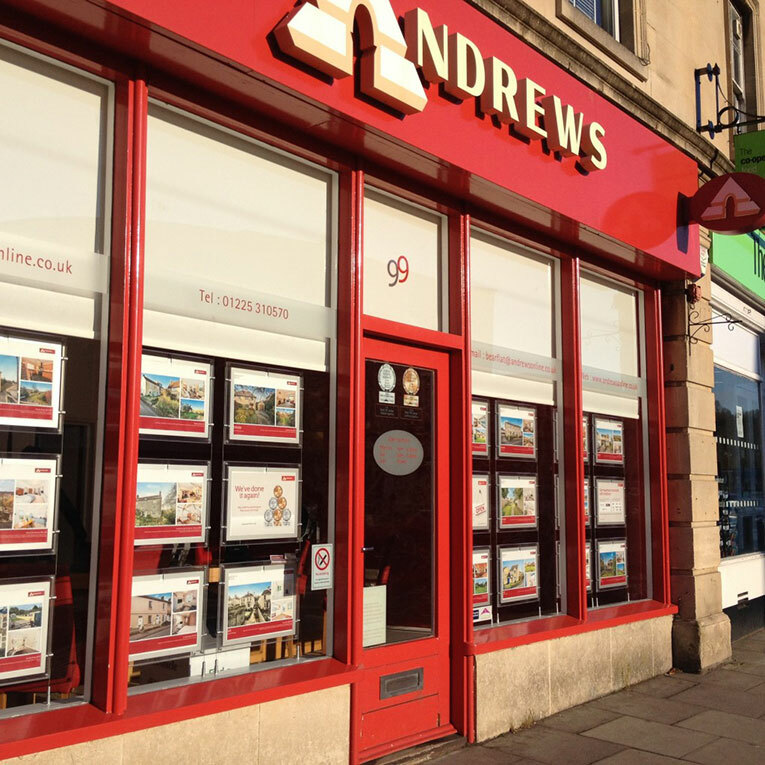 For any Bath window cleaning service – please do not hesitate to give us a call!